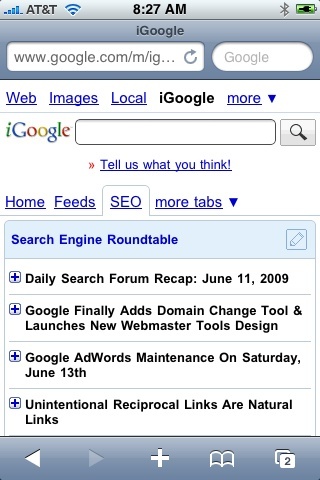 About six months ago, we reported Google Drops iPhone Optimized iGoogle: Users Revolt. 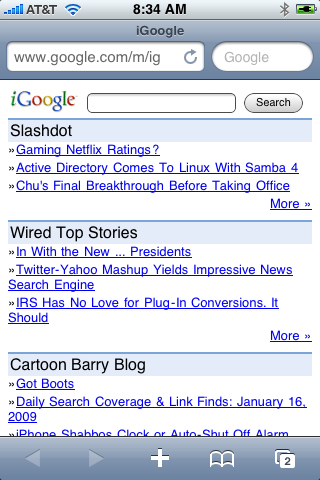 In short, Google dropped the iPhone flavored iGoogle and iGoogle mobile users were really upset and they were upset for a long time. 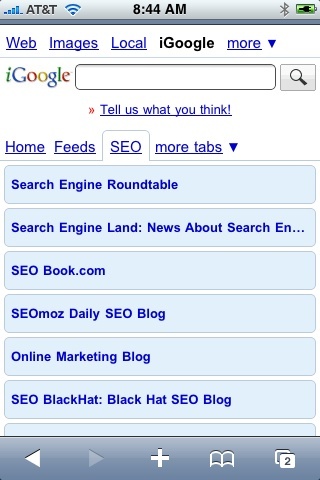 I know you all are very passionate about iGoogle on the iPhone. I'm happy to announce that we've got a new version for you to check out! See the article linked below for details. If you'd like to share feedback about the new version, we're collecting it over in the Google Mobile forum. Not everyone is currently happy with the changes, but I personally think this is a major improvements from six months ago.